Starting today -- September 19 -- if you get a new phone number/line, it's possible it could be a number with the 838 area code. As you know, the 518 area code was running of out of telephone numbers. So a new area code is being added to its geographic area as an "overlay" to provide a new supply of numbers. 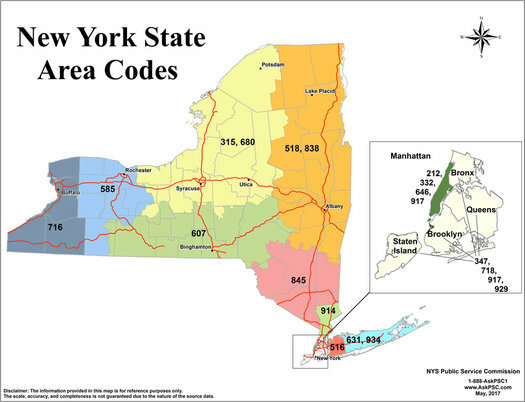 The 518 area code and the new area code, 838, will both exist in the same area. Everyone with a current 518 area code number gets to keep it. And now some new numbers -- and eventually all new numbers -- will be 838. Aside from the new area code, the big change is that 10-digit dialing is now required for calling numbers within this area code. (That mandatory required started August 19.) That's probably not much of a hassle for many people now because so much dialing is via mobile phones or other digital systems. But if you have an older phone system, it's worth checking that it's adding the 518 to already existing numbers. Also: Whenever you give out phone number here now, be sure include the area code. Not related really in anyway, but somehow seemed fitting to include here: The state's eBay store is currently selling a trio of wooden phone booths -- with pay phone -- for pickup in Schenectady.